Maria and Joe have saved every available penny to give their daughters Kate and Sarah the best education possible, which to them means attending the most exclusive girls school in the state. But when Kate befriends the spoilt and moody Mirabella, Maria finds herself thrust into a high society of champagne-swilling mother-istas she hasn't budgeted for. Saturday morning netball is no longer a fun mother-daughter outing, but a minefield of social politics. Hi Deborah! Do dreams ever inspire your writing? What did you last dream about? I don’t recall any specific nocturnal dreams that have inspired my writing (still waiting for a Stephanie Meyer type dream to happen!) I think though that some of my bursts of creative thinking during the day could be described as daydreams, as they can sometimes take me off into my own little world where I don’t notice anything that is going on around me. I do remember my dreams most mornings, and I dream in colour – a fact that my husband disputes. He thinks I superimpose the colour in my memories of my dreams. I think he has coloured dreams envy! I have always loved writing more than speaking. I like the pause it gives you, and the opportunity to make sure you say what you want to say, how you want to say it. I seem to have perfected the art of saying silly and embarrassing things when I talk. My first novel, Up and In, has just been published (1 December) by HarperCollins. I started writing it a little over a year ago. I think that the writing I have been doing has flicked on some kind of creativity switch in my brain, as now I am always thinking of potential storylines and characters. I think chick lit appeals to me because it often presents relatable characters and also because there is generally a good life lesson that you get to take away with you. I also find that I am able to get quite engrossed in it, which means I can finish a chick lit book quite quickly. I hate it when I read a book by just reading a chapter here and there – my memory is so poor these days that when that happens I find I need to go back and read what I have already read so I can remember what’s going on. I especially like chick lit that contains some humour. I do read other genres and I love the classics. Up and In is a satirical story about the often bewildering interactions between school mums. It revolves around a group of women whose young daughters attend an elite private girls school together, and it exposes what I call a ‘school mum hierarchy’ as seen through the eyes of fish-out-of water character, Maria. She and her husband have committed all available income to private school fees, but Maria didn’t budget on what the real costs of their decision would be. The daughters are also all involved in a netball team together, and this adds another layer of parental interactions as are so often seen on the sidelines of kids sports. I have been a school mum for nearly ten years now, and I have always been fascinated by the fact that in many ways it can feel like being back in high school yourself. Obviously there are parents who come from different backgrounds and have different current circumstances, but you all have one thing in common which is the school your child attends. I think my big life lesson through my daughters’ schooling has been that everyone has their own sh*t going on, so just live your life being true to yourself and your beliefs and don’t get caught up in worrying about why certain people behave the way they do. Life’s too short. I am very lucky to have had the wonderful team at HarperCollins working on my cover art. The cover of Up and In was the first and only design I saw, as I immediately fell in love with it and thought it was just the look I wanted. Wow, that is a really tough question – especially as there is quite a gaggle of characters with eight mothers and their husbands and children, and also Maria’s brother and sister-in-law. Thinking just about Maria, she would need to be played by someone who can pull off smart and sassy and yet a bit goofy and a lot bewildered at the same time – not easy. Renee Zellweger managed it in Bridget Jones, so seeing we are in la la land with this answer and all options are available, I would pick her. Or otherwise Kristen Wiig – I think she could pull it off! I am not sure if this is just in my head because of my last answer, but Bridget Jones’s Diary has to be right up there for me. Gone Girl and Love by Numbers by Sara Donovan. Sara is one of my fellow HarperCollins Impulse authors – a first-timer like me – and I just loved her story about using neuroscience to engineer love with someone you think is right for you, even if they didn’t initially ‘light your fire’. Her writing style is so easy to read and it also contained a few good laughs. There’s this great new Australian author called Deborah Disney. Seriously though, HarperCollins has uncovered some amazing new talent through their online submissions portal and I could easily name any one of them as they are all so talented. But I think maybe JJ Gadd who has written a series of five digital fantasy books, starting with one called Lunation. She is a very clever lady, and her writing is mesmerising. Wherever I am when an idea strikes – sometimes that is on my iPhone in a carpark, sometimes it is on my laptop in the middle of the night (I now keep my laptop on charge beside my bed so I don’t even have to get up when that 3a.m. inspiration hits). I am about to change our lounge room into a reading room. The TV is getting taken out and I am getting a big new comfy sofa. I am pretty sure that that is where most of my writing will be taking place from now on. Even though she would require a hell of a lot of time in the make-up and special effects room (she looks nothing like me), I think Julia Louis Dreyfus. I have always related to Elaine on Seinfeld – smart alec, cheeky, does really embarrassing things, can laugh at herself and she has just the right amount of neuroses! Our house backs onto a schoolyard which is lined with large trees. It’s a beautiful backdrop which also attracts a lot of birds. One day recently I discovered a little pee wee trying to hold down an indian myna in our pool, trying to drown him. I intervened and the myna survived (pesky as they are) but I was really fascinated to witness an attempted murder in birdland! Had no idea that they would ever behave that way. Should this have been my ‘random fact’ answer? I am thinking of writing a sequel to Up and In, because I would like to further explore some of the lessons that a parent needs to impart to their teenaged daughters, but I think my next book is going to be about sibling rivalry - another often difficult relationship which is something many relate to. I always answer Moondance by Van Morrison to this question. A more recent favourite is Regina Spektor’s How. When I was little I wanted to be a nurse, because my Nanna was a nurse and she was the most wonderful lady ever, so I wanted to be just like her. She was so amazing that she had every one of her grandchildren thinking they were her favourite. Not because she told any of us that – just by the way she made us feel. We only discovered her special talent for such ‘trickery’ after she passed away. 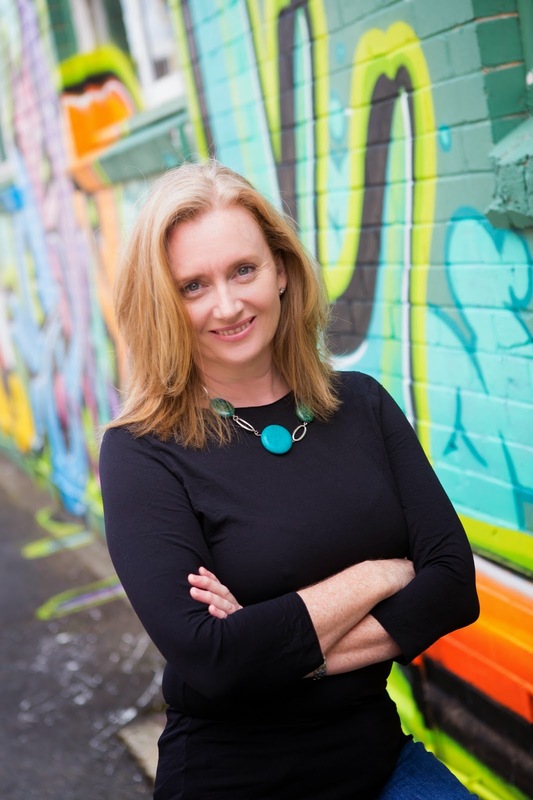 Australian author, Deborah Disney, grew up in the regional city of Toowoomba and now lives in Brisbane with her husband and two school-aged daughters. 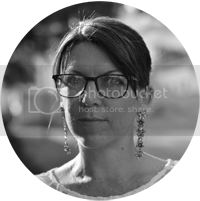 Deborah has a BA/LLB from the University of Queensland and practised as a solicitor for a number of years prior to having children. She chose to specialise in litigation law as that seemed like the best preparation for what is now her looming battle – mothering her daughters through the teenage years. 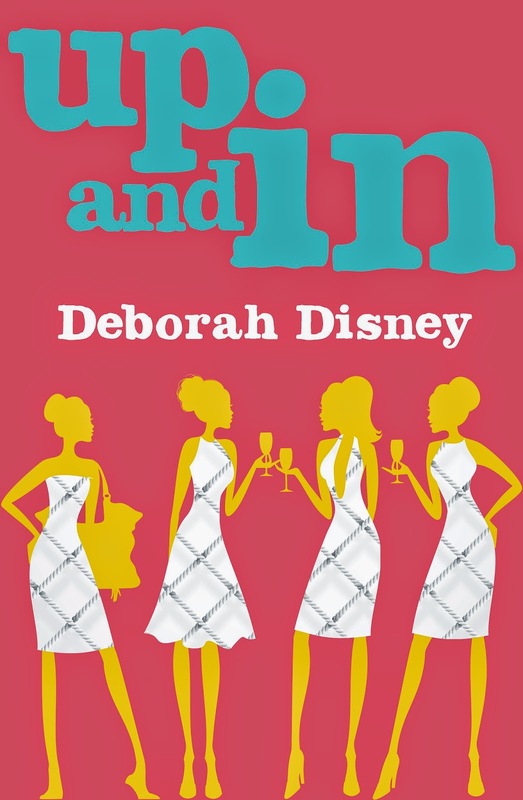 Deborah’s first novel, Up and In, is a satirical look at the interactions of school and sporting mums. She started writing it on her iPhone in the school pick-up line.